A new learning studio has opened its doors on East Passyunk Avenue. Emalinda Pregiato at a super hero-themed birthday party at Lume. Amid the bars and restaurants lining East Passyunk Avenue, a community-driven creative space named Lume Creative Learning Studios moved into 1916–18 E. Passyunk Ave., between Mifflin and McKean streets, last month. To commemorate opening its doors, the “arts-based educational resource and creative outlet” celebrated its opening with various “pop-up” workshops. To help spread word of its opening, Lume wanted diverse community members surrounding East Passyunk Avenue and beyond to check out and get to know the new studio and its offerings without having to first commit to an eight-week workshop. Thus, LCLS hosted more than 40 of these short introductory programs over the course of 30 days. Focusing on movement, music and visual arts, these programs included a Family Art and Music Jam with Songbird, a Family Arts Night Lantern Workshop, a Love is Love Painting Project, Pride Music and Art Project, Drag Queen Story Time, Family PJ Yoga, Chalkboard Radio Family Lullaby Night and more. Children were also able to participate in Free-Range Toddler Art, Upcycled Dream House Creations, Zoom Dance, Messy Splatter Art, a Frankentoy Laboratory and more. Gallery openings throughout June were also held and local artists were on display throughout the month, including works by Meaghan Paice. 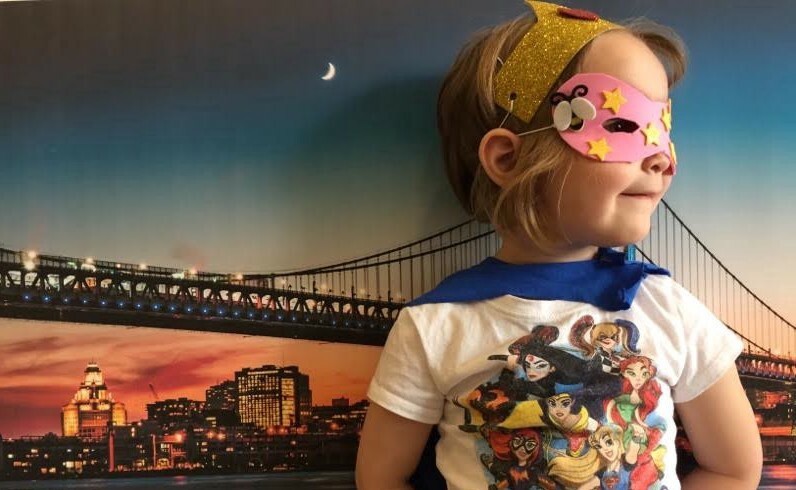 Although many of the programs held in June were opened to and designed for the entire family, Lume’s creative services are not limited just to children and families. Instead, some of its adult programming is BYO and has since encompassed a Dirty Embroidery Workshop, Thirsty Thursday Amateur Craft Hour, yoga for tired moms and Full-moon Figure Drawing, a figure drawing class with both a male and female model doing poses. Amber Zaraza helps Emalinda Pregiato use a salad spinnes to create spin art during an open house event at Lume. Having worked as a teaching artist serving the Philadelphia community for more than a decade, Parker explained her service has seen a lot of successful drop-ins since it opened, and families have expressed their appreciation of the art and music-focused projects it has offered. She believes people have been so responsive to the studio because of its many options and things to do for kids, but also because it’s a little “quirkier and sillier” than other creative service companies. She also commented she thinks the local community has perceived what she’s doing as refreshing. Moving forward, Lume, named for a play on the word illuminate, with a tagline of “Learn. Create. Illuminate,” plans to continue featuring an array of fun and unpredictable programs. Parker said its goal is also to build great relationships with the community, while developing more regular customers. 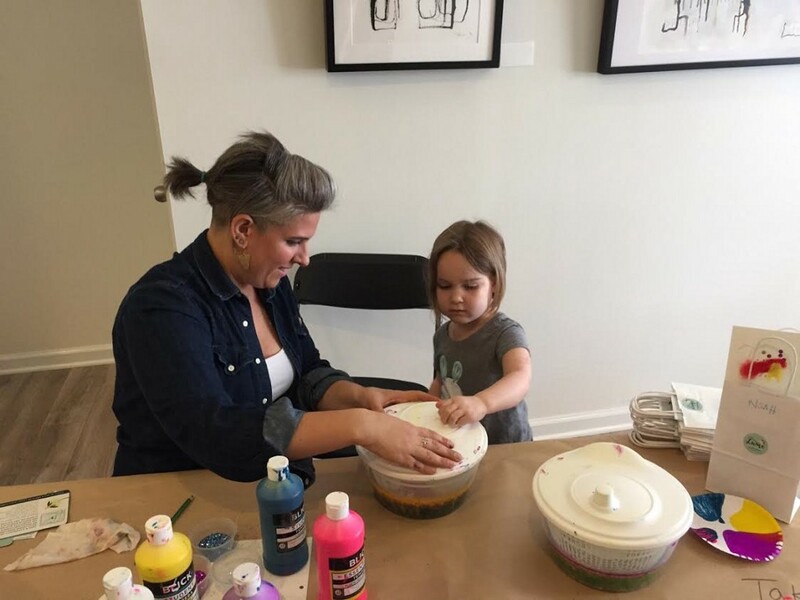 In doing so, she has made the space available for birthday party packages, which can range in themes from a musical “punk rock kids” theme to messy art-focused “splash, splatter, spin” party. “I want people to want to keep coming back, and for Lume to be a great spot for things to do for kids, adults and families alike,” Parker said. For more information on LCLS, visit: www.lumestudios.com. Those interested in its services can also stay informed by following Lume on Facebook, Instagram and Twitter.